Hey everyone! Check out these gorgeous colors thrown down by Vickie - our hostess with the mostest! I have a really slim stash of anything in purple, so I went with SU's Rich Razzleberry CS. 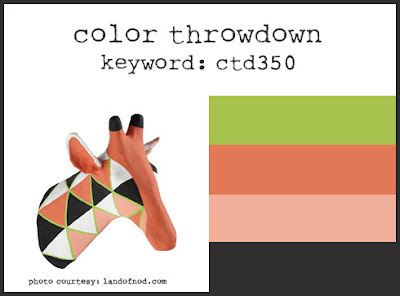 We say that it's OK to use close colors, so I'm counting on this being close! I die cut the watering can from Tim Holtz watercolor CS then 'picked up' some Hickory Smoke distress ink that I had smooshed on an acrylic block and lightly flicked the color (using a small brush) onto the can and then watered down an even lighter gray to add some grounding shadows. Then it was flower arranging time! These are from WPlus9's Fresh Cut Containers stamp set. The sentiment is from their recently released Doodle Buds set. INK: Peeled Paint, Squeezed Lemonade, Mustard Seed, Hickory Smoke, Milled Lavender, Seedless Preserves - all distress inks by Tim Holtz; Versafine Onyx Black. ACCESSORIES: Stitched Fishtail Flags Die-Namics by MFT; Timless Tags 2 dies by WPlus9; Jute twine; Stitched rectangle die by Lil' Inker Designs; Sequins by Avery Elle. 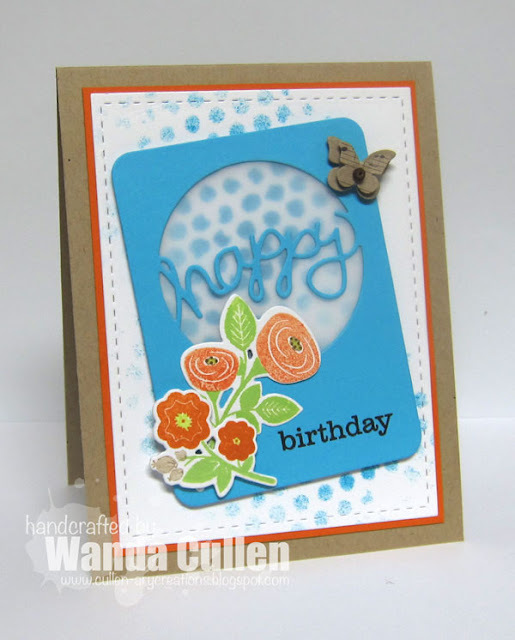 Big congrats to Donna from the Playing Paper blog for being chosen as our guest star stamper this week! 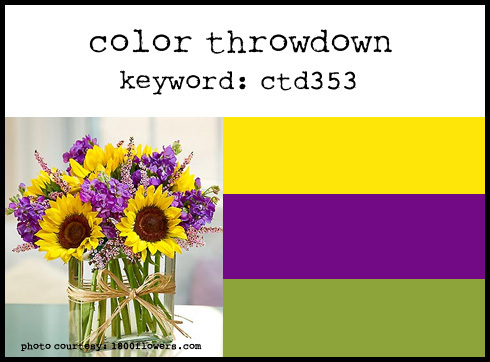 Be sure and check out the rest of the design team's inspiration cards by clicking on their blog links below, OR you can go to the Color Throwdown blog to see the team's cards and to get the details on how to play along. Thanks to Valentyna for being such a wonderful guest designer in July! Stay tuned next week to see who our next guestie will be! Playing along with the Color Challenge on SCS to use Rose Red (I subbed Strawberry Slush), Mint Macaron and Tip Top Taupe and also used Karen Giron's layout for the Sweet Sunday Sketch Challenge. 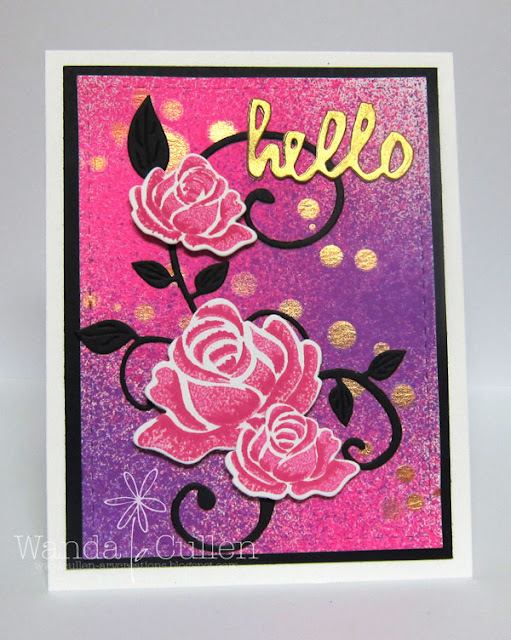 I added white embossing paste using TCW's Mini Basketweave stencil. 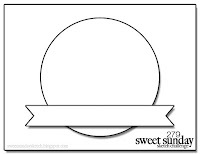 The stitched circles and rectangle are dies from Lil' Inker Designs. I used the Prim Poppy die by Memory Box on Mint Macaron and Strawberry Slush CS. 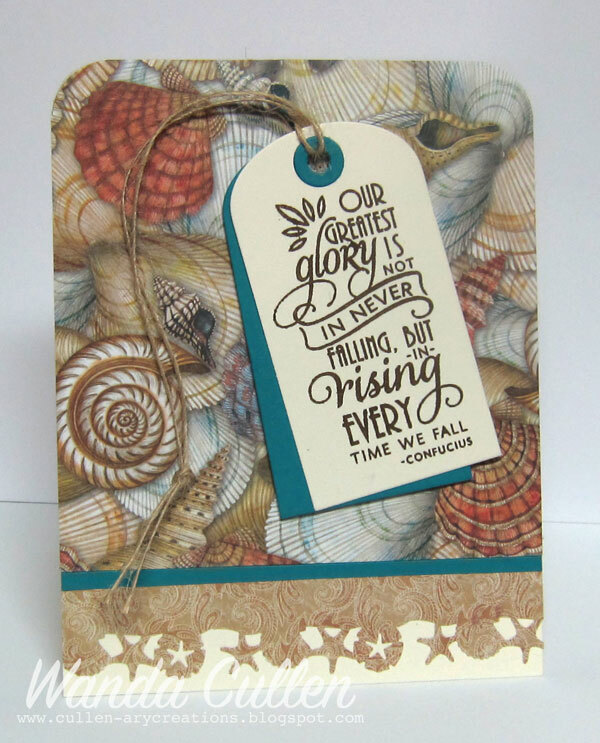 The sentiment and banner die are from Lil' Inker Designs' Flags and Tags Stamps. I skipped the dessert option to use ribbon for the Color Challenge. Heading out early to work today for a workshop at 1...thanks for popping by! A quick card for the CAS challenge on SCS to "get beachy" combined with the current Freshly Made Sketches challenge (just squeaking this in under the wire). As you can see, I flipped the sketch to the portrait rather than landscape version. I used a Martha Stewart shell border punch and the Timeless Tags 2 dies by WPlus9. STAMPS: Learning to Sail (Verve). PAPER: Tim Coffey designer mat pad by K&Co., Vintage Cream (PTI), Taken with Teal (SU retired). using the beautiful gray, rose and sage green patterned papers from Heidi Swapp's 6" x 8" memory planner pad. I just love this sentiment and wanted it to be the focal point! How many times are we impatient when God hasn't given us an answer as soon as we would have liked?! It's a great reminder we need to simply trust Him! INK: Strawberry Slush (SU), Bundled Sage distress ink (TH), Versafine Onyx Black. ACCESSORIES: Brads by Recollections; Black twine; Elegant Leaves, Floral Circles and Flourished Trim dies by Verve. For more inspiration from the rest of the mojomakers, be sure and visit their blog links below! I have to give Shari Carroll credit for inspiring me with her gorgeous one layer creation HERE. 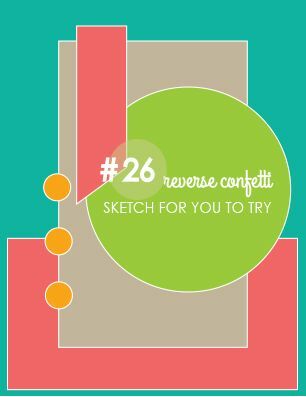 The only stamping involves the 2 tiny circles from Reverse Confetti's Roundabout set. The sentiment is a Confetti Cuts die. Stitched circle dies are by Lil' Inker Designs and the final detail was to add a scattering of silver, white and clear sequins. One layer cards are not very typical for me, but have to say, I was happy with the outcome and it was so easy to create! 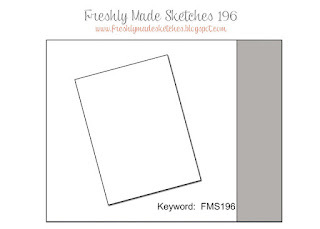 PAPERS: Basic Gray, Smoky Slate, Coastal Cabana, Lucky Limeade, White, Black. 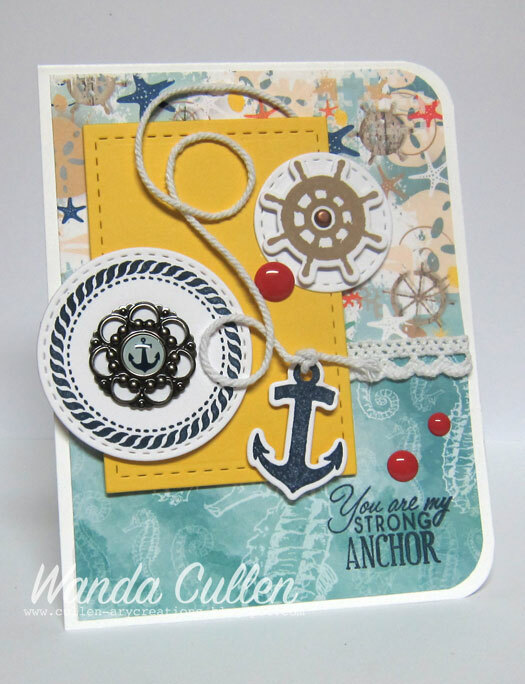 Big shout out to Dawn Easton from Treasure Oiler Designz, our guest star stamper this week! STAMPS: My World (Reverse Confetti). PAPER: Tempting Turquoise, DP by SU, White, TH watercolor CS. INK: Twisted Citron, Mermaid Lagoon - Tim Holtz distress inks; Versafine Onyx Black. 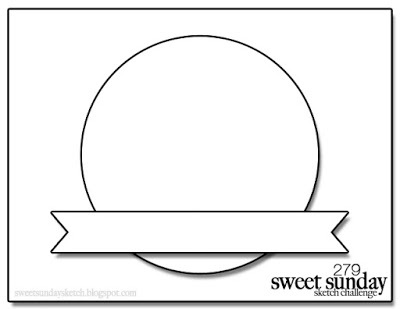 ACCESSORIES: Globe and Flag Confetti Cuts; Stitched Rectangle die by Lil' Inker Designs. It's Monday and that means it's time to rev up your mojo with another fabulous Mojo Monday sketch challenge! I'm not gonna lie...this one made me struggle! I first had a white panel where the yellow one is currently and it just needed a bigger pop of color. I couldn't get a half circle to look right (well, I really wanted to use that brad - lol), so I tweaked it and used a whole circle! My patterned papers and matching brad are from Bo Bunny's Boardwalk collection - one of my buys while shopping in Nagshead a couple of weeks ago. Beach Memories is a small scrapbooking store that I always plug into my weekly "things to do" list while at the beach. Hitting the outlet stores and a couple of favorite lunch spots - Sam 'n Omies (LOVE their fried oysters!) and Kill Devil Grill (great philly steak spring rolls!) - are also a must! If you want some more inspiration from the rest of the mojomakers, be sure and visit their blog links below! Hope to see you in the gallery! I'm a huge fan of WPlus9 stamp designs and was excited to learn they have started a new sketch challenge on their blog! Somehow I missed the first one, but this is Get Sketchy with Joni #2. Here is my take on the sketch using some newly released goodies. Love the Watercolored Anemones stamp set with the coordinating dies! The stitched diagonal strip was a die cut by Lil Inker Designs. I chose the 'love' die - from WPlus9's Flower Doodles die set - for use as a wedding or anniversary card. I fussy cut the large floral branch after stamping with Beanstalk pure color dye ink (WPlus9). I then layered the flowers and a couple of the leaves that were stamped with the 2 step images. I used Little Piggy and Flamingo ink colors on the anemones - I think. 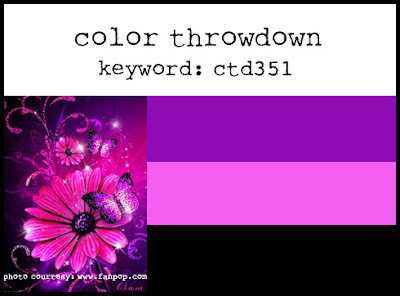 :-) They were left over from a previous project but am guessing this is what I used based on my color chart. There you have it...a clean and simple design! Thanks for stopping by...heading out to work in a few! Happy hump day everyone! Monika is our hostess for today's Color Throwdown challenge and has chosen these vivid pink and purple colors paired with black! I chose to throw in a bit of metallic gold for the sparkle element. I knew right away I wanted to dust off my rarely used Dylusions ink sprays and create a fun background. I used Bubblegum Pink and Crushed Grape. My first attempt was to spray over a stencil but that was an epic fail. I had a white panel with the gold splatters (Heidi Swapp color shine) on my leftover pile, so went with spraying the 2 colors over it and decided it was a keeper. :-) The leafy flourish is a Cheery Lynn Designs die and the roses - from PTI's Rosy Posy set - were die cut and stamped with Picked Raspberry distress ink - stamped off once for the 1st step. The sentiment is a PTI die from the Wet Paint set of word dies. 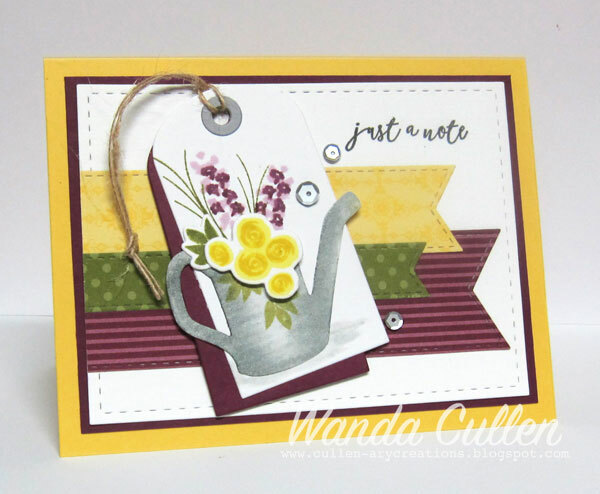 Be sure and check out the rest of the design team's inspiration cards by clicking on their blog links below and also stop by and give a shout out to Lisa Henke - our guest star stamper this week! Good Monday everyone...it's Mojo Monday challenge time! Julee has another great sketch that has sooo many possibilities for use! Since I wanted to use this newly released sentiment from Verve's Sparkly Dreams set, I flipped the layout. I stamped with Versafine Onyx Black ink then clear embossed on card stock weight vellum then die cut it using MFT's stitched flag Die-Namic. I die cut leaves using Verve's new Flourished Tag and Butterfly Dreams dies and topped them off with a MME brad that was a perfect match to these summertime patterned papers by Doodlebug Designs. The butterflies were white embossed on vellum then die cut. Check out the rest of the mojomakers' creations by clicking on their blog links below...or... you can go to the Mojo Monday blog and the first 9 thumbnails will be the design team's cards. 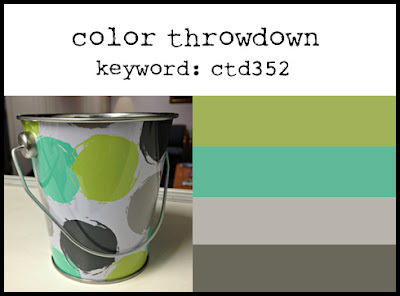 Hey, it's hump day and you know that means there's a new Color Throwdown challenge going on! I am really loving this combo which was perfect to ink up some new WPlus9 stamps that hopped into my shopping cart before vacation! 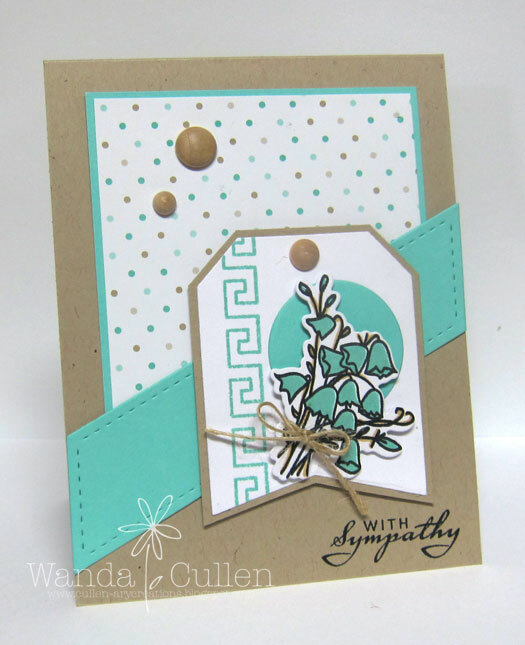 Using WPlus9 Pure Color dye inks, I stamped the large leafy spray of florals in Beanstalk. I dye cut the flowers and some of the leaves and did some 2-step stamping then popped them with small foam dots. The anemones were stamped off with Little Piggy then Sweet Nectar used for the highlight images. 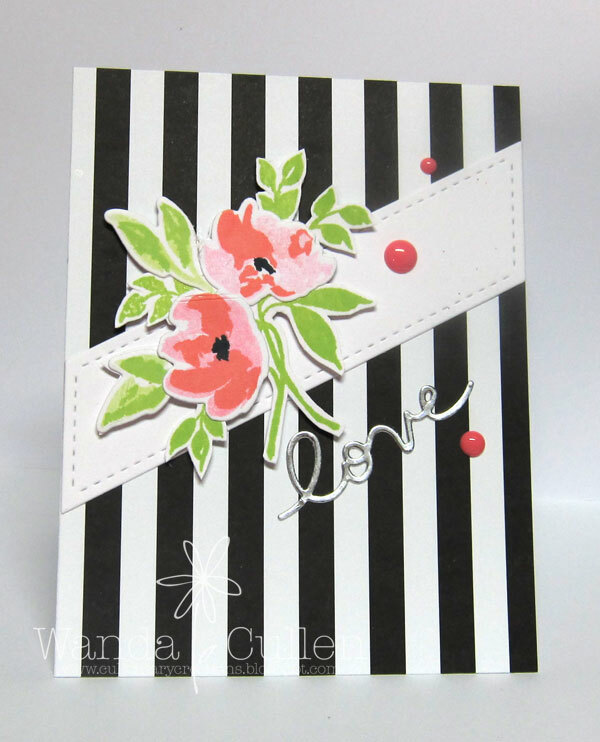 I added some stamped splatters and am trying to convince myself that it doesn't look like the card has chickenpox - lol! To get a bolder black image for the sentiment, I used my trusty MISTI tool to stamp it twice. STAMPS: Watercolored Anemones, Greetings and Salutations, and Ink Splats - all by WPlus9. PAPER: Crisp Cantaloupe (SU), White (PTI). INK: Beanstalk, Little Piggy, Sweet Nectar - dye inks by WPlus9. 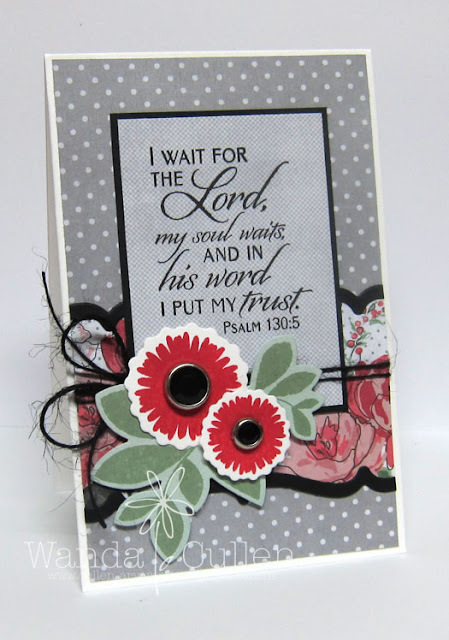 ACCESSORIES: Stitched rectangle dies (Lil' Inker Designs), Watercolored Anemonies dies (WPlus9), Black enamel dots. Be sure and check out our talented July guest designer - Valentyna Komisarenko from the Flourishtina blog! Also, stop by and say hello to our guest star stamper this week - Billie Brockwell from the Skrap Crazy blog! You'll want to play along with us and who knows...you just might be the next star stamper! Thanks for stopping by...hope to see you in the gallery! Can you believe it? July? July is already here and my summer vacation is over already! NOOOOO!!!!! All of our family plus a BIL and our DIL's parents and sister from Ontario, Canada were in south Nagshead this past week and had a WONDERFUL time! We got to celebrate Canada Day AND the 4th of July's Independence Day! You've probably heard in the news of all the sharks in that area, so swimming in the ocean was pretty sparce this year! Just a quarter of a mile down the road from our rental house, two fisherman reeled in a shark from the pier that was between 6 to 7 feet long :-( Needless to say, I didn't venture into the water past my ankles - lol! OK...you're here for my Mojo Monday challenge card, so let me get on with it! Julee has another fun layout for us and since it's the first Monday of the month, there's a chance for you to win a Verve set by playing along! I was going through paper crafting withdrawal after not creating anything for the past week and a half and had to laugh when I looked at my finished card. The colors weren't meant to remind me of sand and surf, but they most certainly took that path. :-) I mixed the new deco border and tag with circle dies with the older Framed Florals image and a sentiment from the Blessings stamp set. I used my MISTI to position the two step stamping bluebell images and also for the sentiment which I stamped twice using Memento Tuxedo Black ink. Don't you just love that sweet border from the recently released Deco Borders set? 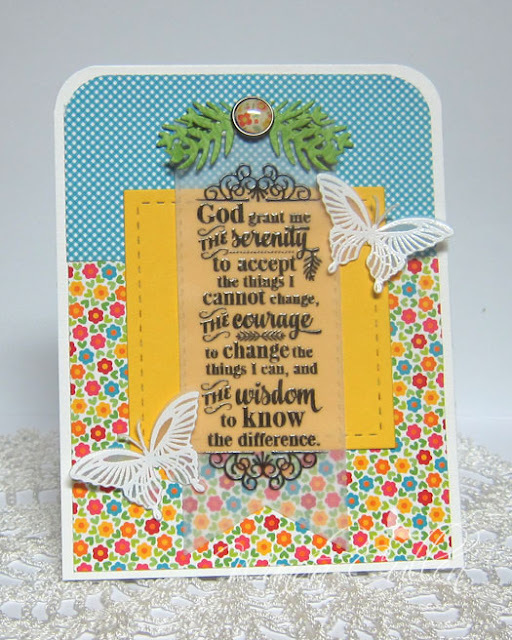 STAMPS: Deco Borders, Framed Florals, Blessings - all by Verve. 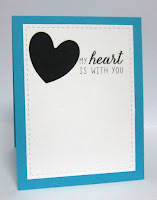 PAPER: Fresh Prints (SU), Crumb Cake, Coastal Cabana, X-Press It Blending Card, White (PTI). INK: Coastal Cabana, Memento Tuxedo Black. ACCESSORIES: Flourished Tag die and Bluebells die by Verve; Stitched diagonal rectangle die by Lil Inker Designs; Jute twine; Copic marker (E55); Wooden dots. Thanks for stopping by and hope to see you in the gallery! 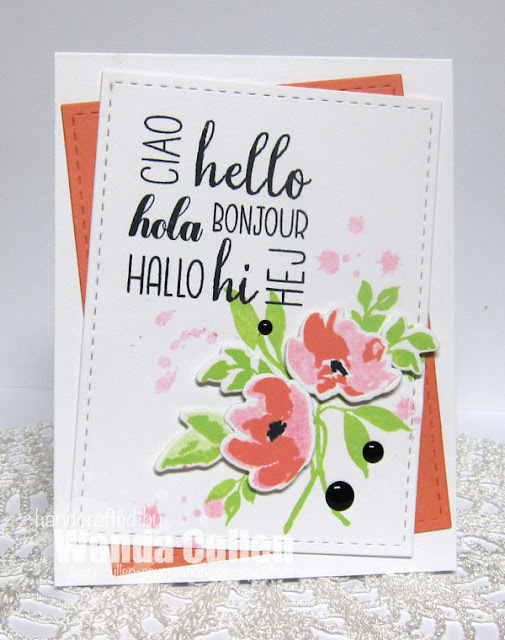 STAMPS: Bitty Bouquets (PTI), Phrase Play #5 (PTI). 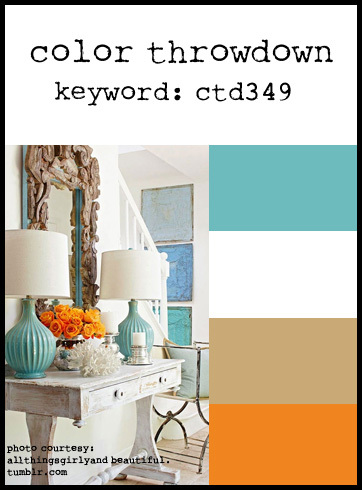 PAPER: Crumb Cake, Pumpkin Pie, Tempting Turquoise, White. INK: Tempting Turquoise, Pumpkin Pie and Crumb Cake by SU, Beanstalk by WPlus9, Memento Tuxedo Black. ACCESSORIES: Happy Frame die and Bitty Bouquets dies by PTI, Stitched rectangle die by Lil Inker Designs, Tim Holtz stencil, Dimensional sticker by Recollections. Since it's a new month, we are introducing a new guest designer. A big welcome to the talented Valentyna Komisarenko from the Flourishtina blog! Looking forward to seeing all your creations! Welcome to my blog...an online journal of my paper crafting hobby. When I'm not in my stamp room, I'm probably working at my full-time job as a rehabilitation RN. I'm so happy to have you visit my blog and I appreciate when you take time to comment! Check out page 76 - I have another card published! Great issue for so many masculine card ideas! Cullen-ary Creations is a personal hobby blog with the sole purpose of sharing paper crafting projects. It is non-profit and does not make use of any personal information shared in any comments or any third-party applications such as email subscriptions services. All content, including photographs, text, and design work, is © Wanda Cullen. My original artwork is for personal inspiration only. Please do not copy for the purpose of publication, contest submissions, or profit. Thanks for your understanding!